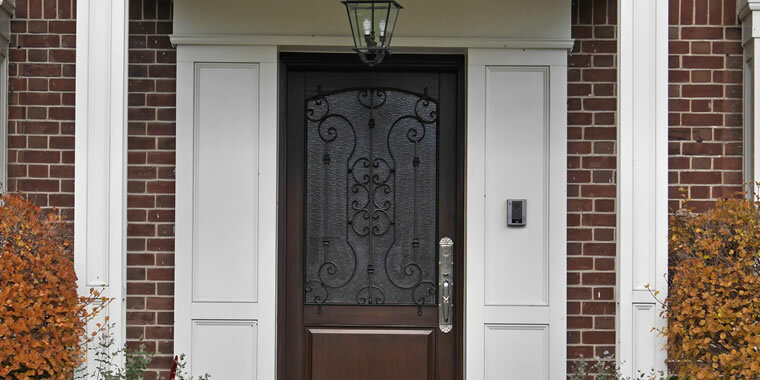 The following are some simple suggestions that may help ensure your new exterior doors work properly for years to come. Ensure the opening is square and floor is level, and clean of all debris and dust. Use OSI caulking, NP1 or the old roofing tar to apply heavy beads of caulk on the front, middle and back of the bottom of the sill. Add extra caulking on the outer edges/corners. Try not to use silicone to set doors!! 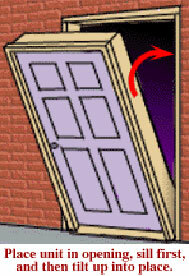 Set door in opening from the exterior side, bottom first and level door in opening using shims at the bottom. Take your time to square and level the door in the opening, then place shims behind each hinge and again on the top, middle and bottom of the strike side of the unit. 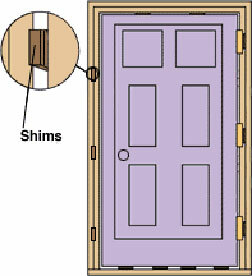 Remove at least one screw from each hinge and replace it with screws that are 3” or longer to go through the door frame, shim and into the framing. This will adjust the weight of the door to the wall framing, instead of the door frame and should prevent sagging later. Ensure reveal is the same all the way around the door and adjust the threshold for a tight seal. Once everything looks good, the last step is to place the rubber pads provided with the door on the bottom corners of both the hinge and strike side. Is the door sweep thoroughly caulked to the bottom of the door slab? Is there plenty of caulking where the threshold meets the door frame? Is the glass surround thoroughly attached to the door? 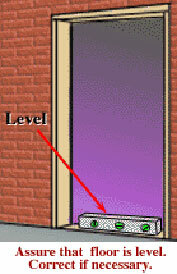 Water can leak through the surround from the outside and run down the inside of the door.